The profile comes to life with the Everything DiSC Sales Facilitation Kit, offering a classroom experience that engages and educates. With a dynamic, modular design, a customizable presentation, and contemporary videos, participants will walk away with a deeper understanding of their personalized profile and a memorable experience that inspires lasting behavior change. Everything DiSC® Sales is a classroom training and personalized learning experience designed to help salespeople successfully create customer-centric interactions that improve results. Participants learn how to stretch beyond their natural Sales style to more effectively adapt to their customers’ preferences and expectations—regardless of the customer’s unique buying style. The experience is sales-specific with in-depth information, including tips, strategies, and action plans to help salespeople become more effective. The research-validated, online assessment asks participants to respond to behavioral statements on a five-point scale, including application-specific questions to help determine the participant’s Sales priorities. Built using the latest adaptive testing methodology, each participant receives precise insights to personalize their experience. 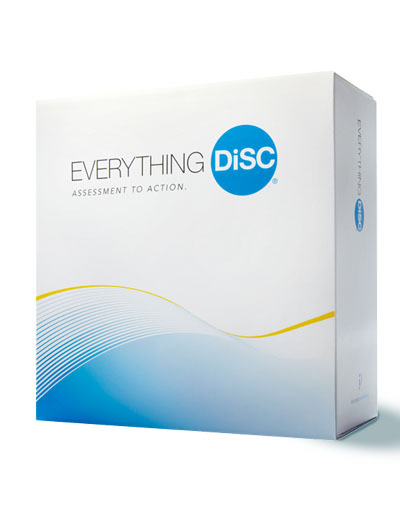 The Everything DiSC Sales Profile helps participants better understand themselves, their customers, and their relationships. In this 23-page profile, participants explore their own sales style and how their strengths and challenges influence their selling behaviors. They’ll also learn to recognize the behaviors unique to each buying style and gain strategies to adapt their sales style to meet the needs of their customers, improving their effectiveness and success.